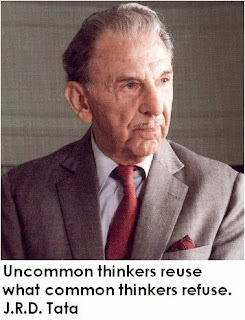 Jehangir Ratanji Dadabhoy Tata (July 29, 1904 - November 29, 1993) or simply known as JRD Tata was a French-born Indian aviator and business mogul. Here I have compiled down some of the popular JRD Tata quotes. Just hope you will like the quote compilation and learn something inspiring from his words. When you work, work as if everything depends on you. When you pray, pray as if everything depends on God.